Make sure and plan to be at the annual State Meet this weekend in Lincoln. The best if the best in Nebraska will be competing! This is also a time to voice your opinions at the State Meet meeting as well. This is the meet shirt. Pretty wicked, eh? Train Insane or Remain the Same!!!! • Congratulations to everyone that set state records at the Capital City Clash in January: Kevin Carlson, Conner Lusche, Shane Hanson, Edmund Odhiembo, Lucas Novatny, Bobby Bright, Eli Burks, Todd Uhlir, Alex Bartholomew, Tyler Torres, Joe Noble, Calvin Garbin, Chris Walter, Hannah Watson, Sarah Bright, and Amanda Pospisil. • Congratulations goes out to Bonica Lough on setting three World Records at the Arnold Sports Festival in Columbus Ohio in March!! Bonica competed on three consecutive days in the NAPF Raw Challenge and set World Records in the SQ, BP, and Total on Friday. 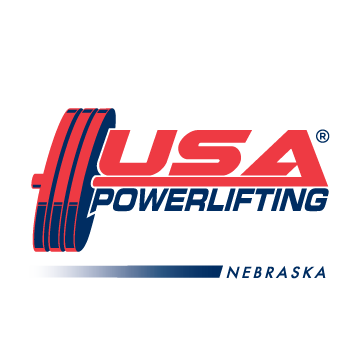 On Saturday she competed in the SSP Raw Bench where she equaled her record bench from the day before, then on Sunday Bonica competed in the IPF Titan Pro Bench. • Congratulations to Mike Kerby for passing his National Referee exam at High School Nationals in Wisconsin in April.  • If there is anyone that would like to submit a meet bid for the USAPL 2016 NE State Championships please notify me. • State Meeting Announcement: There will be a short meeting at the State Championships, April 25, 2015 to vote on next year’s State Championships and any other new business. • The state records have been updated, if there are any corrections or additions please advise, thanks.